So, who else out there is suffering in this awful humidity? To make it worse, I mowed today and I think my water level is a couple of quarts low right now. I keep drinking, but nothing is quenching my thirst... if only there was something super cold to make me feel better. Ahhhhh Lindy's. 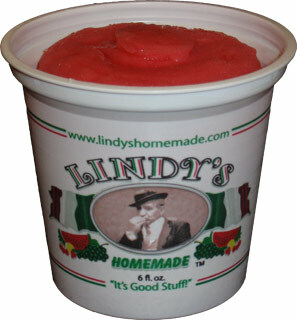 This is Lindy's raspberry lemon Italian ice and I actually I tried last night. It's a pleasant, mild flavor. Not too sweet, not too tart.... not too raspberry, not to lemony. Now this sure is cold, but it will take way too long too eat. Now I'm using my thinking brain! How's that strike ya? The first bubbly sip is exquisite! So cold! So Sprite! So accentuated! I'll have to admit, this was fun. I think most everyone has pushed themselves too hard in humidity at one time or another, and today was one of those days. I had already chugged a few cups of this and that, but man did I need an icy cold beverage and man did I make the awful mistake of chugging this too. Too be honest, I don't feel so good right now (no worries, I'll live, I just need to go find me a fan). Besides not chugging, I also recommend breaking up the Italian ice before throwing it in. 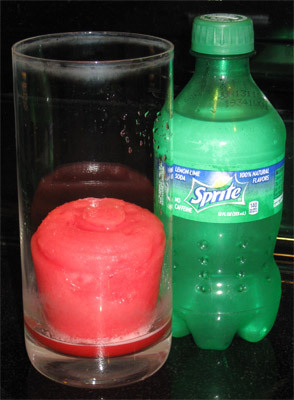 What happens is you wind up mixing the drink to melt the Lindy's, but then you knock all the carbonation out of the drink. Actually, you probably don't even need the whole treat in the cup if you want to keep the Raspberry Lemon flavor restrained. Just experiment, and have fun! Now I'm not sure what combo I would go with next... Oh! 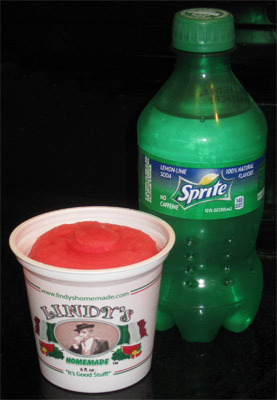 How about cherry Italian ice in a Cherry Coke? Oh yeah, cherry overload! Throw some combo suggestions in the comments if you want, or let me know if you can think of a catchy name for this new treat! How about cherry with a nice cream soda or just a vanilla coke? Oh yum this looks good! Bet it tasted even better! Where can I buy in The Villages FL, area?